One of my enjoyable activities this fall is shepherding a keen herd of visually interested professionals through The Fundamentals of Interactive-Visuals via my 9-week online course. I use web conferencing technology, plus have the ability to do live scribing via the use of my digital tablet. Very handy for explaining concepts and demos of the various things I teach. 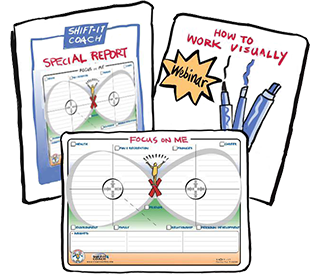 One of the fundamentals that Graphic Recorders, Graphic Facilitators, Graphic Coaches/Counselors and other Process Professionals who use visuals have to learn about is COMMON FORMATS. These formats can be used when working from a blank sheet of paper (or digital surface) or in pre-constructed templates and forms that facilitators, coaches and therapists use to guide thinking and feeling. They can also be used as layouts for Studio Work: i.e. murals, charts and other tools that collect and ‘push’ information for use in process work with groups and individuals (i.e. agendas, history maps, life maps, visions, etc). Do you do some sort of work where you have to help groups and/or partners or individuals think more effectively? Or do you have large or complex amounts of info that you need to streamline in order to effectively engage your audience, shareholders or clients? 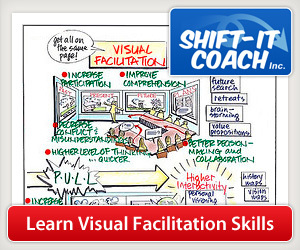 If so, join other Process Professionals (leaders, managers, consultants, facilitators, trainers, coaches, counselors, therapists, scribes, artists, energy workers, lawyers, accountants, mediators, etc) from across the globe via my Fundamentals of Interactive-Visuals course. Offered twice a year online (fall and spring) and once in person in Victoria, British Columbia Canada (usually early June). Plus private trainings (you come to me) and in-house workshops (I come to you for groups 12 or more). 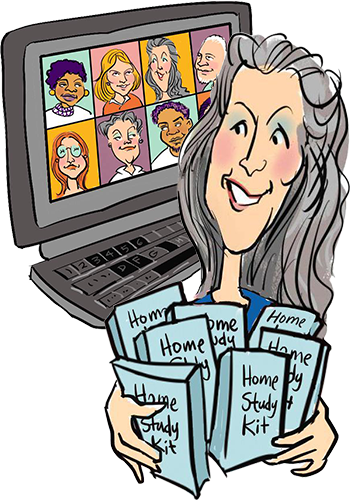 Announcement: Home Study Version coming soon! Will post in online store when available.